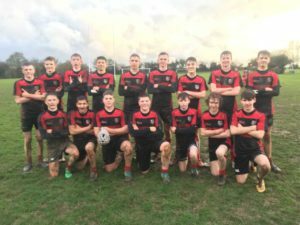 A magnificent win by the Year 10/11 Boys’ Rugby Team occurred recently, when playing away at Chesham Grammar School. 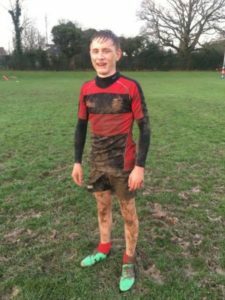 It was the first fixture since mid November, as rugby had just re started, after a break. The conditions were atrocious: howling wind and rain slanting in sideways, making the pitch particularly slippery. The game plan was to ensure the basics were right: clear communication on the pitch; organisation in attack and defence; no missed tackles; and strong discipline throughout. Execution of the game plan led to the GMS team producing a very cohesive performance that out tackled, out rucked, and out scrummaged CGS. The opponents had no answer for the physical presence of GMS. Given the conditions, the ball in hand play was outstanding, there was good running rugby, and excellent support at the break down by the back row players. 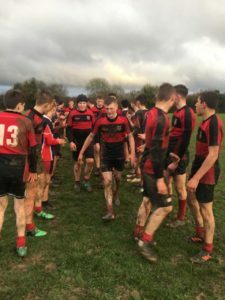 All team members adhered to the task for the entire time; they showed huge resilience defensively, especially when CGS were five metres from the try line for 10 minutes, yet GMS held them out: magnificent. Despite missing some key players, due to examination commitments, resulting in some players fielding positions they were unused to, the final score was a thrilling 7-35. Dean Whiteley Hatrick played at 10, and Billy Wright, playing in the back row for the first time, is named here for his outstanding performance. Mr Goodright is incredibly proud of their performance. GMS are incredibly proud of their performance. Well done lads.